Disc Bound Notebooks contain sheets that are hole-punched and bound with a special Disc Bound binding. This binding feature allows sheets to be pulled out of the 5/8\" discs, rearranged and inserted into the discs for more flexibility and variety. 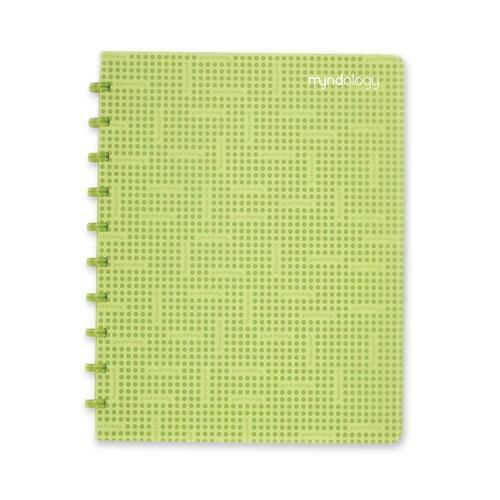 Disc Bound Notebook offers the convenience of a three-ring binder and ease of a spiral notebook. Each notebook contains 72 white college-ruled sheets. Colors of the covers include cranberry, tangerine, lime, juniper and orchid. Disc Bound Notebooks contain sheets that are hole-punched and bound with a special Disc Bound binding. This binding feature allows sheets to be pulled out of the 5/8\" discs, rearranged and inserted into the discs for more flexibility and variety. 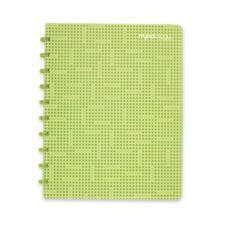 Disc Bound Notebook offers the convenience of a three-ring binder and ease of a spiral notebook. Each notebook contains 72 white college-ruled sheets. Colors of the covers include cranberry, tangerine, lime, juniper and orchid.